Brandblack is living up to its name with the latest colorway of the J. Crossover II. With over 15,000 career points scored in the NBA, two-time Sixth Man of the Year Jamal Crawford knows a thing or two about being a lights out shooter. 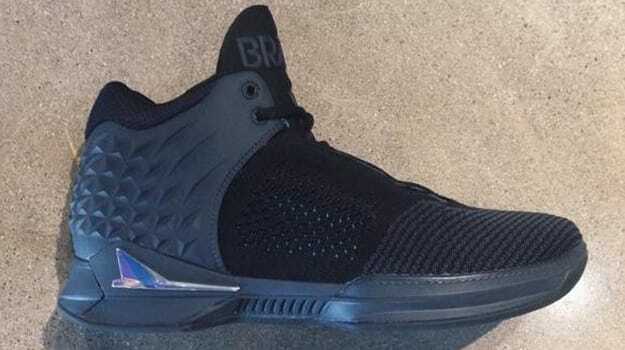 For the latest colorway of the J.Crossover II, Brandblack is emulating Crawford by turning out the lights with this all-black color scheme. Known as the "Blackout" colorway, the shoe is set to drop this February probably sometime around the NBA All-Star break. By then, who knows how many career points Crawford will have? Check out the Brandblack J. Crossver II "Blackout" above and keep it with Sneaker Report for details regarding it&apos;s release date.